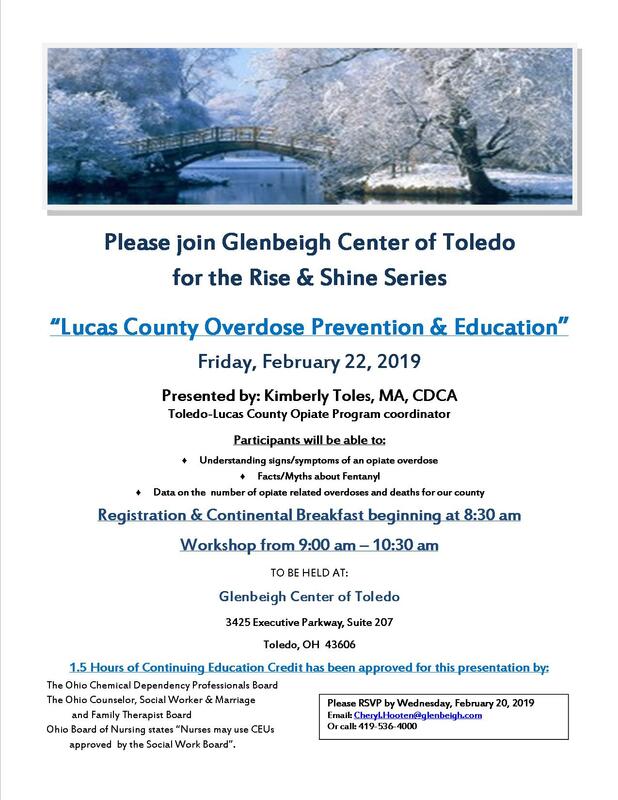 Please RSVP by 2/20/2019 by emailing Cheryl.Hooten@glenbeigh.com or by calling 419-536-4000. Note: The Ohio Board of Nursing states: "Nurses may use CEUs approved by the Social Work Board." Rise and Shine events are offered at no cost as part of Glenbeigh's community benefit initiative. Glenbeigh is a non-profit hospital providing the highest quality healthcare to those in need of alcohol and drug addiction treatment and to support ongoing addiction recovery efforts.